Facebook/C.O. Bigelow NYC.O. Bigelow Lemon Line. Placing cucumber slices on your face is an oldie but a goodie in the beauty world, as makeup junkies have long relied on the power of food to make them look their best. But taking it to the next level, food-inspired makeup and skincare products are now taking over the cosmetic industry, and with good reason. 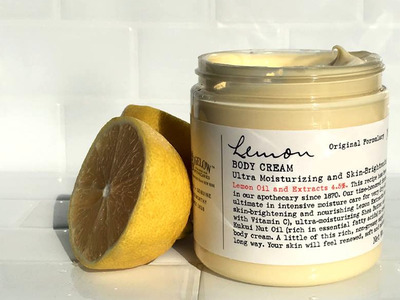 From droolworthy packaging to delicious smells, these items combine the best of food and beauty, and will have you both looking and smelling your best. 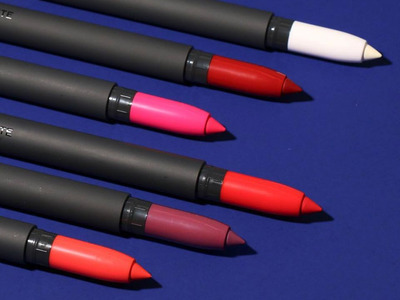 Bite Beauty Amuse Bouche Lipsticks: Each of these 34 highly pigmented lippies are made from edible oils and fresh pressed fruit juices. Technically, you can 'bite' into them, hence the name. Klorane Mango Butter Range: This collection contains cold-pressed mango kernels that have powerful restorative properties that nourish thirsty hair. Too Faced Chocolate Bar Eye Shadow Palette: Each of these neutral eye shadows is made with cocoa powder, an antioxidant-rich ingredient that protects skin against environmental stresses. Even better? They smell like chocolate too. Caudalie Vinosource Moisturizing Sorbet: This whipped, lightweight formula mimics the texture of sorbet. 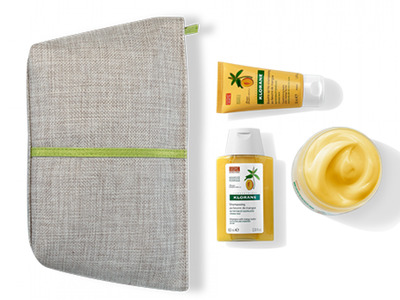 Not only will your skin feel softer than ever, you'll smell delicious. 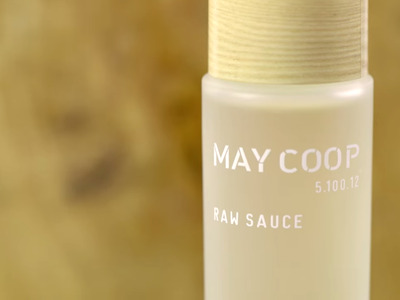 May Coop Raw Sauce: Thanks to its unique maple-tree sap base, this hydrating essence encourages skin regeneration and promotes a radiant complexion. 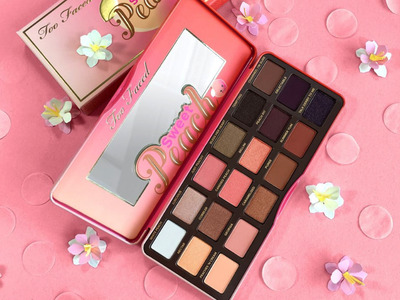 Too Faced Sweet Peach Palette: Containing a peach essence whose smell is said to be mood enhancing, this luscious eye shadow collection features pretty pinks, corals, and purples. 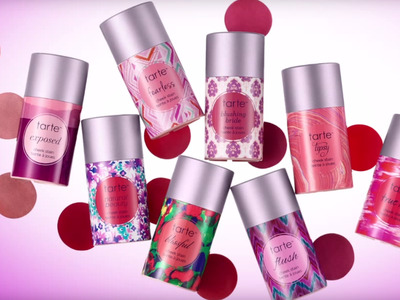 Tarte Cheek Stain: Powered by acai and goji berry extracts, these 12-hour blushes add pops of colour with one, brush-free application. 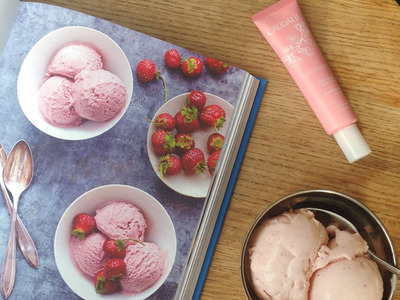 Shades like Glisten and Flush give off soft, berry scents. Tony Moly Wonder Creams: Luckily, the Wonder Cheese cream actually smells like vanilla, not cheese, but either way it encourages skin firmness and moisture. 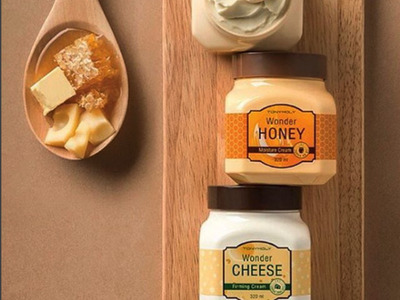 Wonder Honey is also a moisturizing cream, and hydrates without leaving a tacky finish. 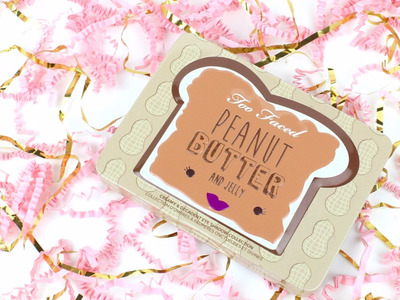 Too Faced Peanut Butter and Jelly Palette: People went bananas when this palette -- which is made with antioxidant-rich cocoa powder -- first launched in March. 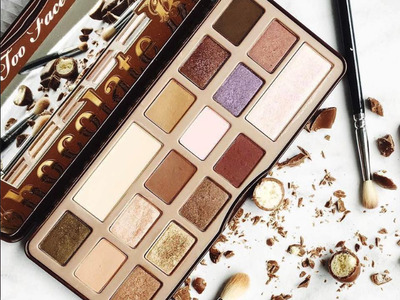 Its surge in popularity, especially with the buttery peanut brittle shade, may push the cosmetic company to restock the product soon. 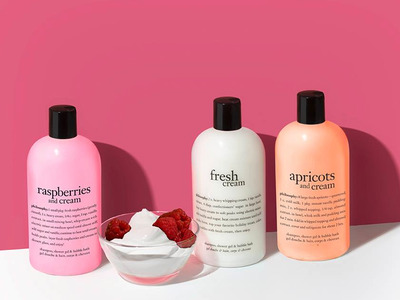 Philosophy Fresh Cream & Fruit Set: Lather up with these amazing-smelling lotions, inspired by the naturally delicious flavours of raspberries, apricots, and fresh cream. 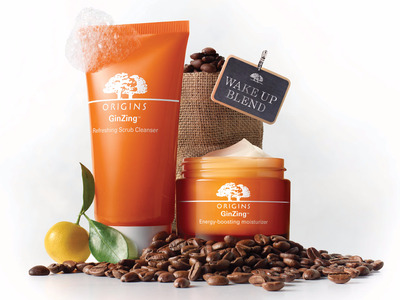 Origins GinZing Refreshing Scrub Cleanser: Fortified with java coffee beans, ginseng and jojoba, this cleanser gives you the jolt of energy you need in the morning. 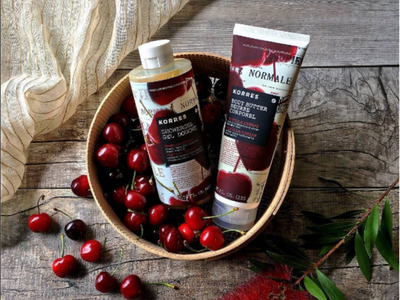 Korres Cherry Vanilla Body Butter & Shower Gel Duo: Sunflower, almond, and avocado oils make this dynamic duo seriously nourishing. 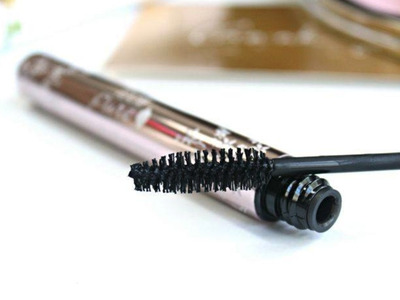 100% Pure Maracuja Mascara: Containing black tea leaves, berry, and cocoa powder, these vegan mascaras include conditioners nourish your lashes while holding long lasting curl. C.O. 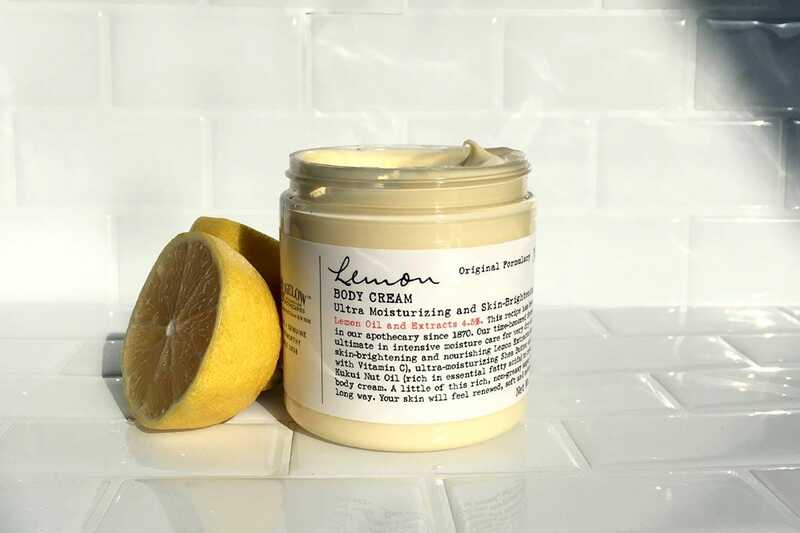 Bigelow Lemon Line: Combining lemon extracts that are super-charged with Vitamin C, the ultra-refreshing scent of this line offers a pick-me-up anytime of the day while keeping skin soft and supple. 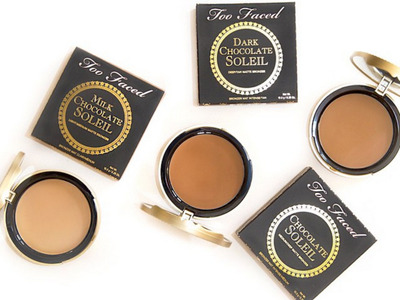 Too Faced Chocolate Soleil Bronzer: Filled with antioxidant-rich cocoa, a light dust on the cheeks with this bronzer will make you look chiselled and have you smelling sweet in a flash. 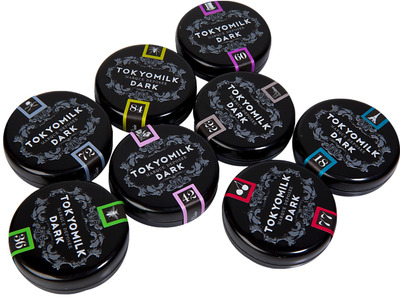 TokyoMilk Lip Elixirs: These scented lip balms have a unique range of smells, from absinthe and cherry bourbon to salted caramel. As an added bonus, the products taste delicious too.